Time for some more STAMPlorations inspiration for you. 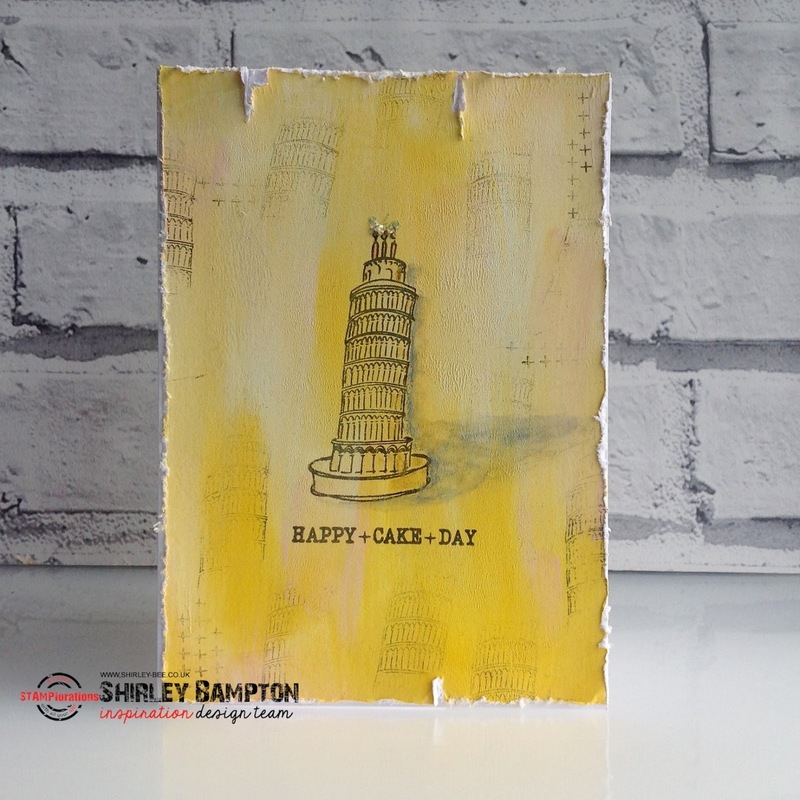 Today I've used the Leaning Cake of Pisa from The Bee's Knees World Birthday Cakes set. I started by brayering a layer of gesso onto a piece of mixed media card, then when that was dry I added Distress Paints in Spun Sugar, Antique Linen and Mustard Seed, spritzed and blended them and left them to dry. I stamped the image with Versafine Onyx Black, then gently stamped off parts of the image until all the ink was gone. Added a sentiment and stamped off some of the plus signs as well, then distressed the edges of the panel to add to the ancient Italy feel, before adhering it to my card base. Pop on over to the STAMPlorations blog to see some more fabulous inspiration from the rest of the Design Team. If you want to CASE this or any of the inspiration cards, why not add your entry to the CASE playground for a chance to win a prize? I'm adding this to Simon Says Wednesday Challenge - No Designer Paper. The distress looks perfect with the image! Very nice! 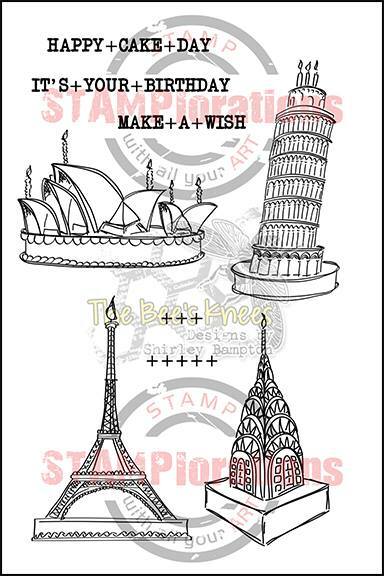 Thank you so much for playing along with the No Patterned Paper Challenge on the Simon Says Stamp Wednesday Challenge blog! Love this stamp set and love this card....the distressed look and background look awesome!! !